Editor’s note: Anthony Griffith, a stand-up comic from Chicago’s South Side, has lived on the borderline of comedy and tragedy. At the very time his career as a stand-up comedian was taking off and he had finally achieved his dream of appearing on The Tonight Show, he was also enduring an unimaginable personal nightmare: his two-year-old daughter, Brittany Nicole, was dying from cancer. 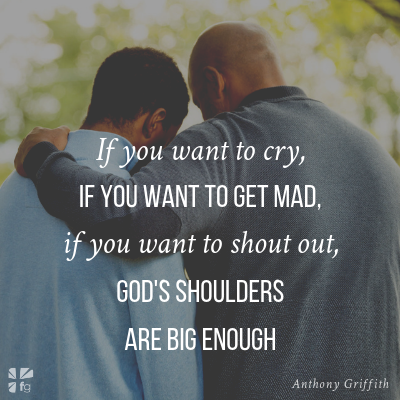 In this excerpt from the new book Behind the Laughter, Griffith shares how God remained present through the tragic times and ultimately allowed he and his wife to reach out and comfort others going through similar difficulties. About ten years after Brittany had passed, before Christmas, I woke up one morning and heard birds chirping outside my window. I loved the sound. It brought me a joy that I hadn’t felt in so long. It was as simple as that: I could hear the birds chirping again, and when I went outside, I could smell the roses. Later, when I heard babies laughing, I smiled instead of becoming sad. For those ten years following our daughter’s death, we didn’t put up a Christmas tree and pretty much ignored the holiday. Now, for the first time since then, I was hearing Christmas songs on the radio and enjoying them. I wanted to put up decorations. I was emerging from my cocoon. Grieving doesn’t have a time limit. It doesn’t have an expiration date. But I felt like the fog had been lifted, and I could appreciate things again. I don’t know why it happened right then. It was just time. Mourning and sorrow had been weighing so heavily on me, but I was moving at last toward that light at the end of the tunnel. When you come out of a cocoon, you’re stronger and have a different purpose than when you went in. A butterfly has the ability to adapt to a new environment. After Brittany’s death and everything that followed, including my illness, I became stronger with my faith and developed a deeper understanding that tomorrow is not promised, so you must love and enjoy everyone you’re with today. I had a greater appreciation of people. I had a greater appreciation of craft. And as I looked back on my life, I realized that I’ve always been watched over by God. From living in the projects up to now, I can see that my path has been guided. It wasn’t just me mapping it all out on my own. Knowing that doesn’t stop the hurt. If you lose someone close to you, you can’t simply say, “Well, it was for a reason.” You may or may not believe that, and that’s okay. What’s confusing on this earth will become clear once we get to the other side. That’s when we’ll say, “Oh!” Until then we struggle with these questions while trying to keep our faith. A tragedy pulls some people further away from God because they can’t accept a God who would approve of whatever terrible thing had happened. I questioned God for a long time about Brittany but later realized that the ordeal had brought me closer to Him. When I was younger, I wasn’t thinking about death, and no one around me had died. No one teaches you how to act when a loved one, especially a child, passes on. You’re almost writing your own book. 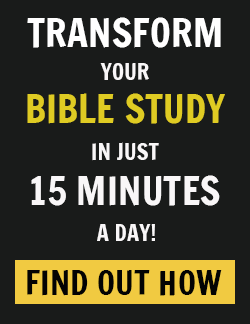 But as I got older, I became a stronger believer because the Bible became real to me. You read about people going through problems just as you are. When King David lost his son, he said, “Can I bring him back again? I shall go to him, but he shall not return to me” (2 Sam. 12:23). That story now had teeth to me, and I learned from it. As hard as it is now to be without my daughter, I look forward to seeing her and my parents and aunts and uncles again on the other side. I’m here now but not forever. That helps. As the Bible says, there’s nothing new under the sun (Eccl. 1:9). 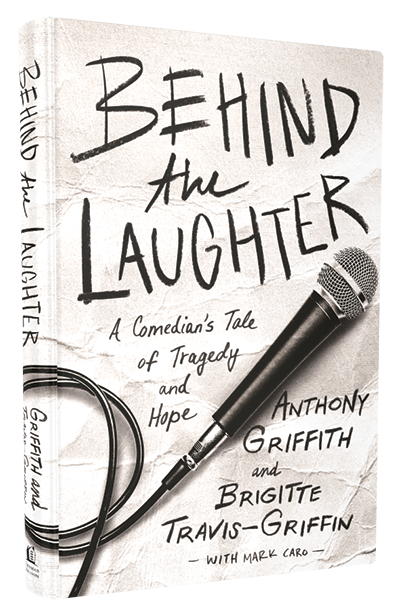 Excerpted with permission from Behind the Laughter: A Comedian’s Tale of Tragedy and Hope by Anthony Griffith and Brigitte Travis-Griffin, copyright Anthony Griffith and Brigitte Travis-Griffin. Are you grieving the loss of someone you love? 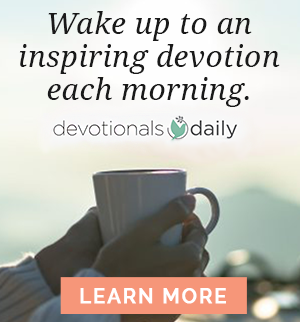 Is it hard for you to imagine God meeting you there, that his “shoulders are big enough”? We want to hear from you.